We have seen throughout history that socialism lays the groundwork for a corrupt communistic regime to take power, yet the majority of people in this country don’t seem to know or understand world history. They don’t seem to remember lessons of mass genocide and the extinction of human rights in communist countries. You can tell an Obama supporter about our President’s proven connections to Frank Marshall Davis and Bill Ayers and they do not seem to care, or maybe they do not believe, or whatever… Some would say they are apathetic. Drop the “a” and you will get to the root of what Obama supporters really are…pathetic. They seem to believe that our President walks on water. Last night I was doing some research for this article and I was met with yet another horrifying example of the direction our country is taking. I am not sure how many people even know who Bill Ayers is. This country has been dumbed down to the point that I am not sure how many people understand the significance of this man or even care. Bill Ayers is a radical who helped carry out bombings for The Weather Underground in the 1970s. In 1970, he joined in the bombing of the New York City Police Department headquarters. In 1971, he helped detonate a bomb at the US Capitol Building in Washington DC and the Pentagon in 1972. This would seem to be a man that would be marked for life as a public danger. You would think he would be rotting in a prison cell somewhere. No, not at all. 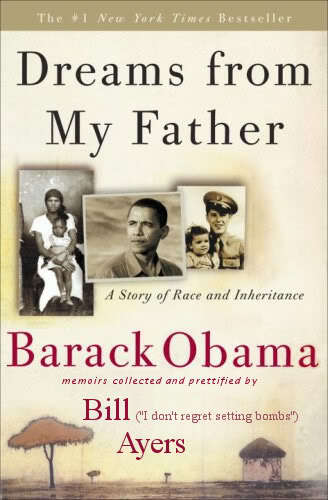 Bill Ayers not only befriended and shaped the ideas of a young Barack Obama. Now he is a keynote speaker for our nation’s educators. How in the world is this happening? Check out this article and tell me you don’t want to vomit. Evidently all of the other Marxists were booked for the week because Bill Ayers is the keynote speaker for the Annual Convention of The Association of Teacher Educators. Obama and his supporters can laugh or choose to give no respect to comments of his socialist platforms and communist roots. That’s what communists do…they rise to power through propaganda. By time they reveal their true agenda it is too late. I wanted to gather quotes from admitted present day communists to see what they are saying about Obama. 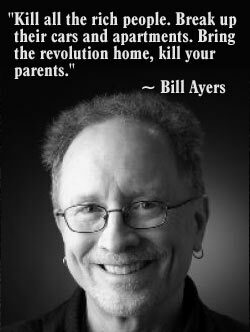 If you want to believe that Bill Ayers has turned over a new leaf I suppose that is your right. But if you can not see the evil of present day communists supporting Obama, then I don’t know what else I can show you. Let’s look at a small collection of quotes, and if you want more I will give them to you at a later time. I have highlighted key words and phrases with bold print to make sure you don’t miss them. Marable openly admits the existence of communists and marxists within Obama’s administration. If you research the new communist movement you will find that they are very much focused on race and class. Anyone who has studied the communist goals and platforms will realize that communists must prey on insecurities of groups of people to gain a foothold of strength. They are gaining more and more acceptance in America by playing the race card. Kerry? 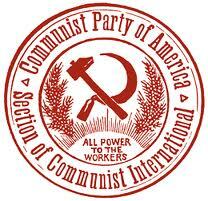 If you look at writings of The Communist Party USA there is always a short list of endorsements. It is not that they are supporting all democrats. They support select progressives who represent their party platform. More reliance on racial division. The message that seems to be sent is that people of color should vote progressive (communist). Communism understands the same principles that built great American corporations like Disney and McDonald’s. You indoctrinate the youth and they will remain loyal as adults. They always focus on the youth and they have infiltrated large national organizations like the NEA. Notice the clear distinction made between the democratic party and the progressive democrats who are supporting communist ideologies. “Now, beyond all the optimism I was capable of mustering, Mr. Obama won Iowa! He won in a political arena 95 percent white. 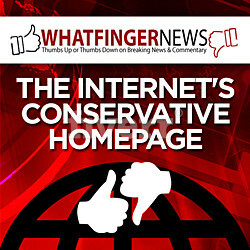 It was a resounding defeat for the manipulations of the ultra-right and their right-liberal fellow travelers. Also it was a hard lesson for liberals who underestimated the political fury of the masses in these troubled times. Obama’s victory was more than a progressive move; it was a dialectical leap ushering in a qualitatively new era of struggle. Marx once compared revolutionary struggle with the work of the mole, who sometimes burrows so far beneath the ground that he leaves no trace of his movement on the surface. This is the old revolutionary “mole,” not only showing his traces on the surface but also breaking through. Frank Chapman offers a mouthful. First off he plays the obligatory race card that is common in communist propaganda attacks. Then he makes a clear distinction between common liberals and true progressives. Finally he gives Obama credit for being the mole who broke through, from Marxist teaching. The communist party has long understood the power of propaganda. They know that they must promote division and dissent based on class and race. This is the only way they take power, and this is exactly what is happening in America. What is going on here? 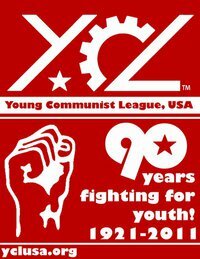 If you go to the Communist Party USA website you will find that these people are simply ecstatic about what’s going on. This country was founded upon the principles of basic human rights and if Progressives who refuse to call themselves by their real name (Communists) continue to push this agenda forward there will be a fight. I will die for freedom before I will let my country succumb to the evils of a communistic state. The harder they push against the people of this country, who know history and who know what is going on, the closer we get to revolution every single day. Open your eyes people. They are coming out of hiding. These are not quotes from political theorists, these are quotes from proud communists. The “Useful Idiots” have had so much conditioning that they can not and will not see it. We the People are now responsible for the future of this country and for the protection of The United States of America against the Ultimate Goal of becoming a Communist State.